The guys over at Sensu were kind enough to send me a demo unit of their Sensu Brush. 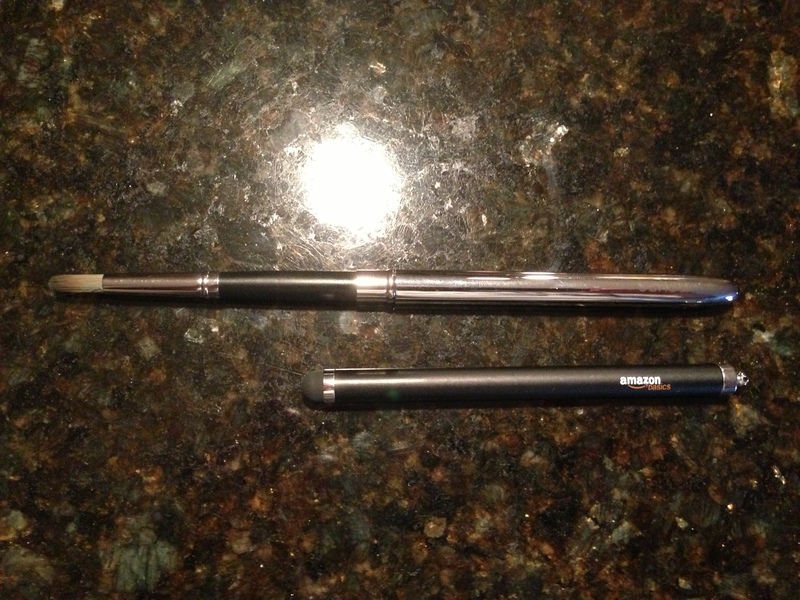 I have to say this is the best stylus I have used hands down. 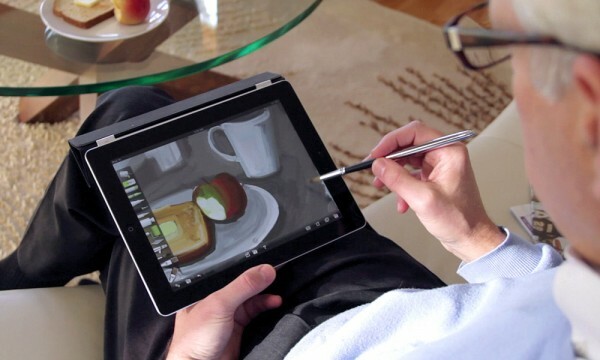 Not only is it a great stylus with a rubber ball like all others, but it also functions as a paintbrush with actual capacitive bristles that work on touch devices. When you pull off the protective cap you will reveal the capacitive bristles of the brush and then inset the rubber stylus into the cap and it will become a long paintbrush that is easy to handle and feels excellent in you hand. You do have to be very careful with the bristles as they are very similar to a regular paintbrush. If one is bent or breaks off it is OK, just don’t lose too many of them or you will need to buy a new Sensu Brush. To make sure you keep your Sensu Brush in the best possible shape make sure that you do not use it as an actual paint brush and be very careful when you put the cap back on. I wish there was also a cap for the rubber part of the stylus. This is always expose and could possibly get damaged. Overall I would have to say that the Sensu Brush is a must buy for any digital artist. There are tons of stylus pens to choose from that work with touch screens but nothing comes as close to the original paint brush feeling like the Sensu Brush provides. Most people who use a stylus with the iPad usually end up purchasing something very cheap like the Amazon Basics stylus. If you are a true artist you will end up purchasing a ton of different ones until you find the one you like best. I guarantee once you try the Sensu Brush, you will not want to try anything else. 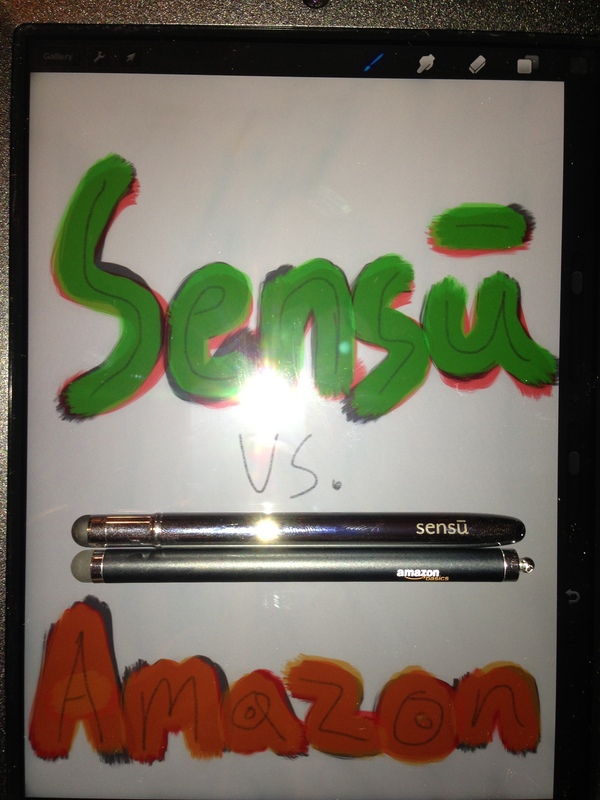 Attached are some quick pictures I took comparing the Sensu Brush and the Amazon Basics stylus. I am by no means and artist but having an actual stylus makes painting on the iPad very enjoyable. With the right app and the Sensu Brush, you have a truly authentic painting experience on the screen of the iPad. Some of the recommended apps include: ArtRage, Sketchbook Pro, Paper by FiftyThree, Procreate, Auryn Ink, and SketchTime. Sensu Brush is currently priced at $39.99, which may seem like a high price when you can get other styluses for a lot cheaper, but like I said this is the ultimate Stylus and worth every penny. 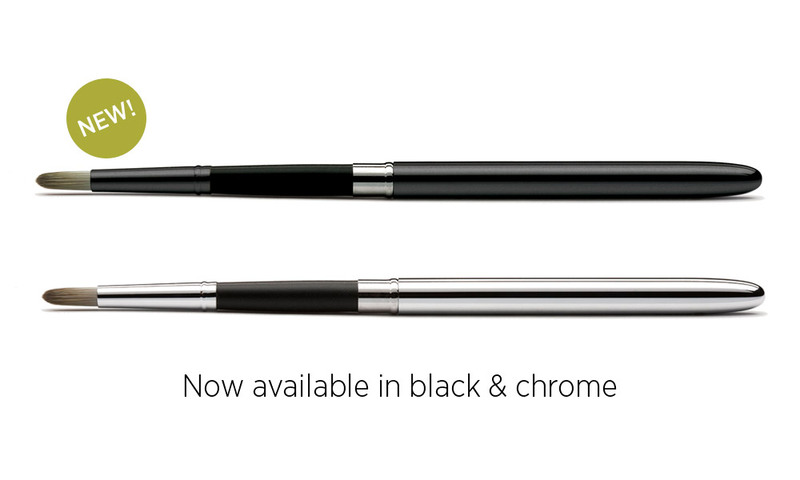 If you are serious about your digital artwork or just want an authentic painting experience on your iPad, then be sure to grab a Sensu Brush in either black or chrome colors.